International Journal of Engineering and Technology Innovation (IJETI, ISSN Print 2223-5329, ISSN Online 2226-809X) is an international, multidiscipline, peer-reviewed scholarly journal, published quarterly for researchers, developers, technical managers, and educators in the field of engineering and technology innovation. Articles of original research, reports, reviews, and commentaries are welcomed by IJETI. 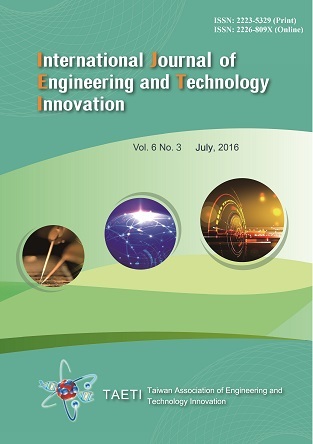 The goal of this journal is to provide a platform for scientists and academicians all over the world to promote, share, and discuss various new issues and developments in all areas of engineering and technology innovation. All manuscripts must be prepared in English, and are subject to a rigorous and fair peer-review process. Decisions will be made as rapidly as possible, and the journal strives to return reviewers' comments to authors within 6 weeks. Accepted papers will immediately appear online followed by printed hard copy.